Paperback, 9 x 12.25 in. / 112 pgs / 58 color. Essay by Donald Kuspit. Introduction by Ute Riese. 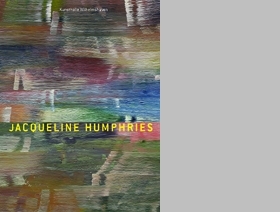 Jacqueline Humphries's abstract pictures emerge out of the fundamentals of minimal and conceptual painting. These works range in style from multihued canvases to paintings of solid black with only minimal gray tones interspersed, to NeoPointillist fields of dots. Her work occupies a unique tension between regularity and irregularity that is truly intriguing. 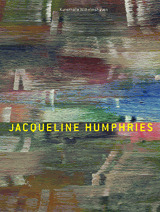 FORMAT: Paperback, 9 x 12.25 in. / 112 pgs / 58 color.